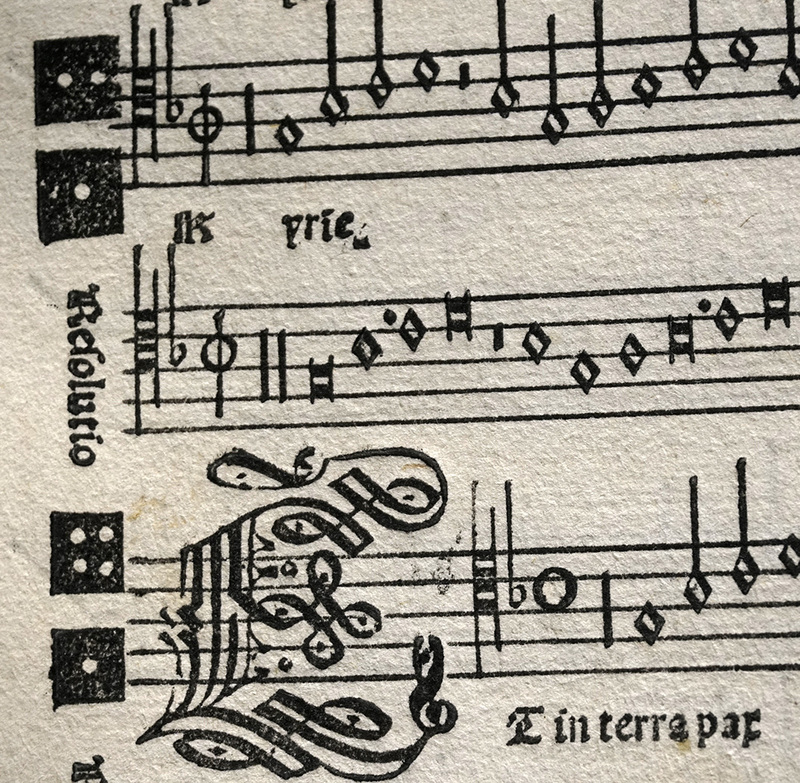 This rare partbook probably survived thanks to the charming dice featured in Josquin’s Missa di dadi, which show singers in which proportion to render the Tenor part (also realized just below). 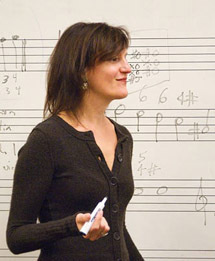 The melody comes from a love song with the text “Shall I never have better than I have?”—here transformed into an allusion to the gamblers’ attempts to beat each other’s throws. 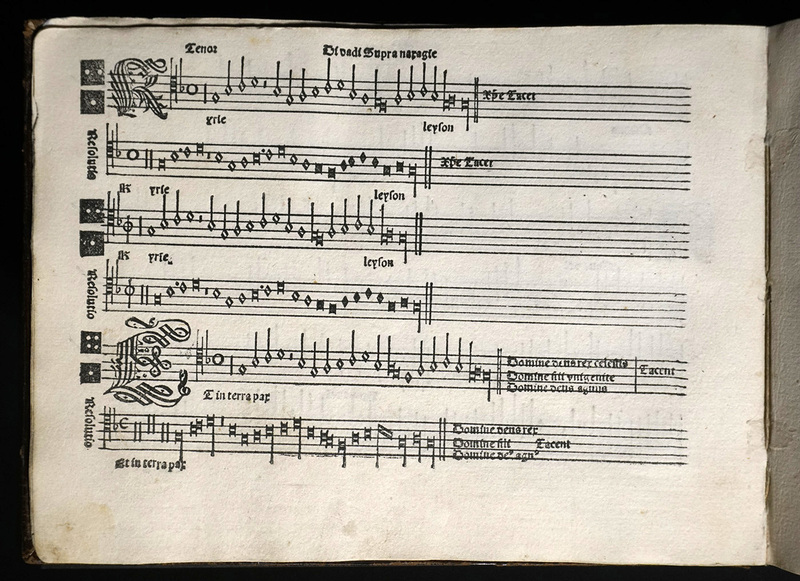 Note the splendid sixteenth-century binding and fine presswork, with the staves printed first and the notes printed in a second impression, a method developed by Ottaviano Petrucci, the first printer of polyphonic music books. 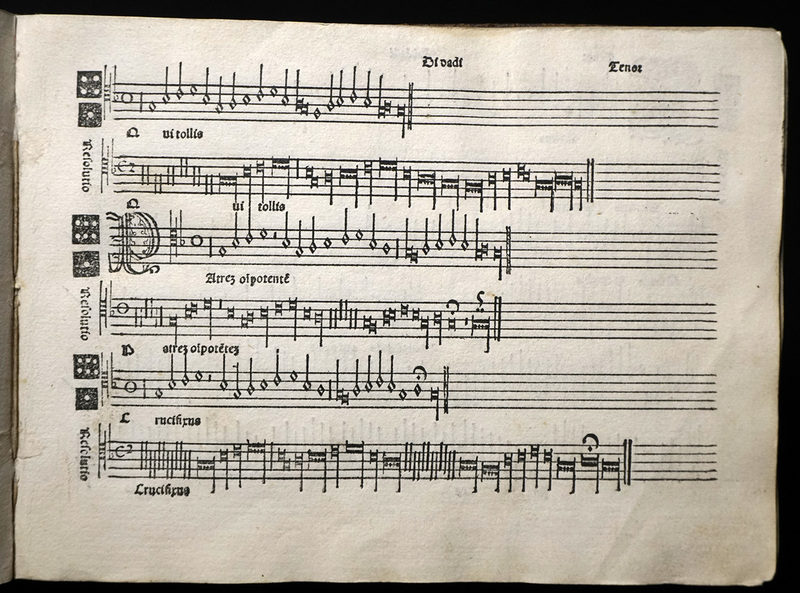 Mus 786.2.501, Houghton Library. Bought by the Elkan Naumburg Fellowship Fund, 1920.